Walking into a car dealer without pricing a car can be the biggest mistake you ever make. The more you know, the better deal you can get on a new car. Keep reading to learn the simple tricks you can have up your sleeve before buying the car of your dreams. Walking into a dealership not knowing which car you want is like going into the grocery store without a list. You'll easily get overwhelmed and you may end up buying a car you don't even want. 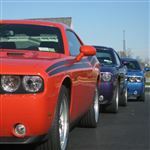 Learn about the cars you like on the manufacturer's website. Research the standard and upgraded features. Then consult with third-party websites. Kelly Blue Book and Edmunds are reputable choices. On these websites, you'll get expert reviews, lists of the pros and cons, and an estimated value for your area. Tip: Don't focus on the price until you've found the car you want. Instead, create a list of the cars you think might be a good fit for you. When you have that list in hand, it's time to head to the dealer. At this point, you are still in research mode. There's no way to know for sure if a car suits you until you drive it. Head to your local dealership(s) and drive each car on your list. Focus strictly on the car, how it feels, and what you like and don't like. Third-party reviews are great. But until you are in the driver's seat, you won't know what you like. Tip: Let the salesperson know you are just in the test-drive/research mode. They may lay off slightly on their sales tactics if they know you are not a serious buyer just yet. After you are done test driving cars, it's time to narrow down your choices. Weigh the pros and cons of each car and how it affects your lifestyle. Once you choose the car you want, you'll focus on it for the next part of the process. Now the real work begins. You know what car you want - it's time to figure out the best price. You'll be back at your computer for this step. Again, you'll want to use Kelly Blue Book or Edmunds. This time, you should be as specific as possible, right down to the color of the car. Each choice has an impact on the value for the area. Tip: When looking at Kelly Blue Book or Edmunds, use zip codes of any town you'd drive to if you could get a better deal. You never know when a few towns over might save you money on your car purchase. Once you have an average cost for your area, head to the manufacturer's website again. Look for any incentives they offer. You may see cash back offers or special financing options. Each manufacturer sets their own criteria. Make sure you read the fine print to see how you would qualify. Your final step is to figure out the supply and demand of the vehicle. How fast are they flying off the dealer's lot? Cars in hot demand mean less room for negotiation. A dealer won't be desperate to get it off their lot. Cars in less demand mean more room for negotiation. The dealer will be eager to make a deal with you. Create a list of the dealers that have your vehicle along with their contact information - you'll need it in the next step. Did You Know? : Car manufacturers tend to offer the best incentives at the early and late parts of the year. During the first few months, you'll see incentives on last year's model. 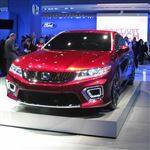 So in the first few months of 2019, you'll likely see large incentives on 2018 models. During the last few months of the year, you'll tend to see more incentives on that year's model. Manufacturers offer the incentives in order to clear the lots of the older models to make way for new models. Keep reading for the next step in the car-buying process. Now you are ready to negotiate. Luckily, you aren't sitting face-to-face with a dealer just yet. You still get the comfort of sitting behind your computer. It's time to draft a very specific email to the dealers on your list. No matter what you write, make sure you are as specific as possible. TIP: Give the dealer a deadline by which you want to purchase the car. Once they know that you are a motivated buyer, they know you can go elsewhere if they don't respond in time. Once you have several quotes, read each one closely. Look for any differences. If one dealer provides a quote on a car with all of the features, yet another provides one with fewer features, you cannot compare them. Once you have your quotes, you have one last piece of information to share with the chosen dealer - your trade-in. Your trade-in should be a last resort topic with any dealer. Don't let them know you have one until you have a solid quote in hand. After you choose the dealer you'll buy the car from, you can let them in on your trade-in secret. TIP: Know what your trade-in is worth using Kelly Blue Book and Edmunds. Make sure you are honest about your car's condition. The trade-in value isn't based on the make, model, and year of the car alone. The condition of the car can increase or decrease its value. Letting the dealer know ahead of time can ruin your negotiation plans. If they offer you a higher price for your trade-in than you thought, you'll feel like you are getting a "great deal." This means, you may pay less attention to the price of the car you purchase. The dealer comes out the winner in the end. The good thing about a trade-in is that the value will come right off the amount you borrow. This means less interest that you pay in the end. Once you have the deal you want, you still have more work ahead of you. The best-case scenario is to walk in with a pre-approval. It's as good as cash to the dealer. You don't have to worry about dealer financing or haggling after you have your car's price. You Should Know If you have great credit, the dealer may approve you for 0% financing. This is like paying cash for the car over an extended period. It doesn't cost you any more money for the loan. However, you should be ready for large monthly payments and a shorter term. Having a bank's preapproval can also give you an advantage. The dealer may try to beat the rate the bank offered or will work with you on the price. They know you can go to any dealer and get the car you want. They can't lure you in with their new car financing. Consider what you can afford and compare the sales prices. What you want to know is what the car will cost you in the end. This takes into consideration all interest charges you'll pay on the loan. $43 per month doesn't sound like a big deal. But when you think of paying an extra $43 per month for 60 months, the 4% rate costs you $2,580 more. That's $2,580 you can add to the price of your car. Once you do all of the legwork, it's time for the final negotiation. This is when the deal goes down or you walk out the door. It's important to remove your emotions from this process. You must be willing to walk out the door if the dealer won't give you the deal you want. With your knowledge in hand, you can tell the dealer you know exactly what is available. You know the going price for the car in your area, demand, your available financing options, and what you want. If you don't want to do this in person, you can go through the internet department, asking for a final quote on the exact car you want from the dealer's lot. This gives you the chance to bargain with several dealers at once without leaving your home. Tip: Don't focus on monthly payment. Dealers can stretch out your term or lower your interest rate to make the payment lower. But they could also charge you more for the car. Rather than focusing on the monthly payment, look at the bottom line. We recommend emailing the dealers that are the furthest away from your home first. Get a few quotes in hand, then walk into your local dealer with these quotes. Chances are they will match or beat it. Now you have the lowest price possible and you purchase your car from your local dealer, making future visits convenient for you. Just when you think the hard part is done, you have one more person to face - the finance manager. If you came with your own financing, you won't spend a lot of time in there. If you see any fees outside of the tax, title, registration, or manufacturer's destination fee, then feel free to negotiate. TIP: Don't be afraid to walk out of the deal even once you are in the finance office. 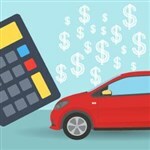 Including extra fees into your loan only increases the cost of the car in the end. If you have your own financing, you may have to pay the fees in cash up front. Find out the average costs for your area and call the dealer out on it. The dealer may try to sell you add-ons as well. Again, do your research. Most add-ons can be done after market and on your own when you can pay cash. Even the extended warranty can be added after you already own the car. It is possible to get the lowest deal on a new car. But you have to put in the work. The more research and shopping you do, the better your chances of finding the best deal. Leave a comment about How to Get the Best Deal on a New Car? Share on Facebook "How to Get the Best Deal on a New Car"